Photo by Nancy Rica Schiff from her book A Celebration of the 80's. The mission of the Al Hirschfeld Foundation is to promote interest in the theater and dramatic arts by supporting not-for-profit museums, libraries, theaters and similar cultural institutions. 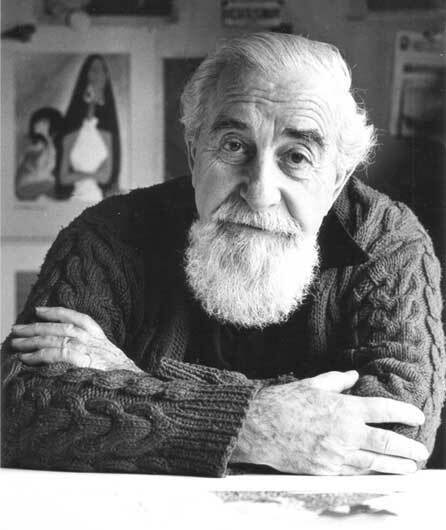 The Foundation fulfills its mission by making grants to such organizations, by mounting exhibitions of Al Hirschfeld’s artworks at museums and other venues and by donating or lending Al Hirschfeld’s artworks to such organizations. The Foundation is managed by a board of directors led by Lynn Surry, President. The Foundation maintains an extensive collection of Hirschfeld artworks and lends pieces to institutions all over the world. Papers from the first half-century of Hirschfeld’s career are held by the Archives of American Art at the Smithsonian Institution in Washington, D.C. The Harvard Theatre Collection holds the largest public collection of Hirschfeld art and ephemera. There are also significant holdings at the Library of Congress, the National Portrait Gallery, Academy of Motion Picture Arts and Sciences, and The New York Public Library for the Performing Arts. In addition, Hirschfeld artwork has been included in a number of exhibitions all over North America. The Foundation is compiling a comprehensive catalogue of Al Hirschfeld's works in private and public collections. If you own works by Hirschfeld, or know of works in other collections, please contact the Foundation. Your name will be kept confidential if you wish. The Foundation would also like to hear from anyone with correspondence from the artist or personal reminiscences. Copyright Notice: All texts and images on this website are copyrighted by The Al Hirschfeld Foundation and cannot be used in any way except by express written permission of the Foundation.